Ryan Abrams is Assistant Portfolio Manager at Wisconsin Alumni Research Foundation, the private nonprofit technology transfer office of the University of Wisconsin-Madison. In this role he is responsible for manager research and due diligence for strategies focused on marketable investments. Mr. Abrams also provides analytical support for the asset allocation of WARF’s investment portfolio. He holds the Chartered Financial Analyst (CFA) and Financial Risk Manager (FRM) designations. Dr. Croce serves as portfolio manager and head of quantitative research across Salient's quantitative institutional and retail strategies including risk parity, managed futures, and liquid alternative beta. Paul Friedman is the Head of US Legal, Chief Compliance Officer, and Chief Administrative Officer of BlueMountain Capital Management, LLC, a $19.6B hedge fund and CLO manager based in New York City. He has responsibility for all aspects of the domestic legal function, compliance, human capital management, and various other administrative functions.� He received his BA from Duke University and his JD from Harvard Law School. Ronnie Jaber is a Managing Director and Portfolio Manager in Global Market Strategies. Mr. Jaber is responsible for investing and trading structured and opportunistic credit, esoteric, synthetic and cash products, and for shaping internal market strategy. He is based in New York. Prior to joining Carlyle, Mr. Jaber ran the structured loan business at Morgan Stanley globally. Prior to that, he was at Bank of America where he was responsible for high-yield structured credit trading. He also worked on a proprietary trading desk at Bank of America. Mr. Jaber received his B.S. in engineering from Cornell University. Mr. Jaber held Series 7, and 63 licenses. Avery joined the Firm in 2005 and is a senior investment professional on the NB Alternatives Funds of Hedge Funds Investment Team with responsibility for Event Driven and Credit Strategies. Previously, she worked at Merrill Lynch as an alternatives investment analyst. Avery graduated from Princeton University with a BSE in Operations Research and Financial Engineering and minors in Finance and Engineering and Management Systems. Mr. Linder is a senior consultant with Pension Consulting Alliance, providing ongoing and project-based advice to investment committees, boards, and executive staff of plan sponsors. In addition to his client facing responsibilities, he conducts ongoing research on capital markets, portfolio construction, risk management and investment strategies. He received his BA from Middlebury College, and his Masters from the Kenan-Flagler School of Business at UNC Chapel Hill. Mr. Lupoff is the Chief Investment Officer of Tiburon Capital Management, LLC, an event-driven alternatives manager. Mr. Lupoff is also the Co-Portfolio Manager of Tiburon Event-Driven strategies and was the founder of Tiburon Capital Management, LLC. Mr. Lupoff has previously held senior and portfolio management positions at Millennium Management, LLC, Robeco Weiss Peck and Greer and MJ Whitman, among others. Mr. Lupoff holds a B.A. degree from Hofstra University and an MBA degree from Fordham University. He is a frequent speaker and writing regarding his investment philosophies and is a regular Federal Reserve Bank Discussant and consultant on shocks and illiquid markets. 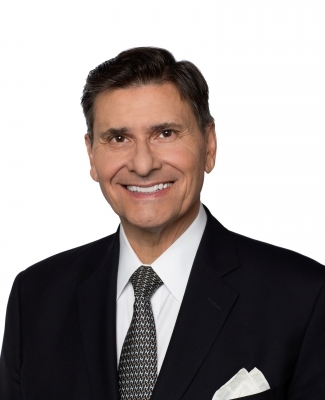 James A. Medeiros is a Senior Managing Director and an Associated Person of Graham Capital Management, L.P. ("GCM") and is a member of the firm's Investment Committee and Risk Committee. Prior to joining GCM in July 2009, Mr. Medeiros was a member of the Investor Relations group at Moore Capital Management, L.P. from 2003-2009, where he managed relationships with a wide variety of institutional and private clients. Mr. Medeiros received a Bachelor of Science from the Edmund A. Walsh School of Foreign Service at Georgetown University in 1996, and received an M.B.A. from the Wharton School at the University of Pennsylvania in 2003. Scott Metchick, Vice President Scott is portfolio manager on AQR’s Global Alternative Premia team. He has more than two decades of experience in alternative investments, having held senior positions at three fund-of-hedge-funds firms. Prior to AQR, he managed S.R. Metchick Associates, a hedge-fund consulting firm. Before that, Scott was chief investment officer at Tremont Capital Management, Twin Lights Capital and the EIM Group. Earlier, he analyzed alternative-investment funds for Evaluation Associates Capital Markets (now EACM Advisors). He began his career at Chase Manhattan Bank. Scott earned a B.S. in finance from Lehigh University. Mr. Mullin co-founded the Real Asset Equity Income Funds (RAEIF) in 2010, and presently serves as the co-portfolio manager of the Fund. He was also the founder and manager of Marathon Resource Investments LLC, which managed natural resource-focused investment partnerships from 1997 through 2012. Priot to RAEIF, Mr. Mullin worked with Aesop Capital Partners, Gryphon Capital Management and the Franklin/Templeton Group. Mr. Mullin received his B.A. in Economics from the University of Colorado at Boulder in 1991. Dr. Shubin Stein is the Founder & Portfolio Manager of Spencer Capital Management and the Chairman of Spencer Capital Holdings. Dr. Shubin Stein is a graduate of the Albert Einstein College of Medicine where he completed a 5-year medical and research program with a focus on molecular genetics. He has a B.A. from Columbia College with a dual concentration in Premedical Studies and Political Science. Dr. Shubin Stein is an adjunct professor at Columbia Business School. He is also Founder & Chairman of Crutches 4 Kids. Eli is a Managing Director of Cliffwater LLC and a member of the hedge fund research team. Prior to joining Cliffwater in 2007, Eli was a Senior Associate ahd member of the research team at MSCI Barra. Eli earned a BA from the University of California, Berkeley and an MBA from The Anderson School at the University of California, Los Angeles. Mr. Wamsley has over 23 years of experience spanning the full spectrum of financial markets, with a focus on alterantives. Prior to joining Infinity Capital Partners, Casey was Managing Director at Collins Capital specializing in alternative investments with advisor firms, family offices and institutions. Collins Capital was aquired by Infinity Captial. Prior to Collins, Casey was the founder and CIO of Phoenician Capital, LLC. He has held leading roles at prominent investment consulting and advisory firms. Casey graduated from Southern Methodist University with a BBA in Finance.